Resources for Marin families who are caring for a loved one with memory loss are expanding. On January 29, 2019, Senior Access—which has provided memory wellness programming in Marin County for over 45 years—dissolved as a non-profit agency and on January 30, Jewish Family and Children’s Services (JFCS) opened Skyview Day Club, a new program in the same location at 70 Skyview Terrace in San Rafael. Skyview Day Club, a program of JFCS’ Seniors At Home division, will provide the same level of extraordinary services that Senior Access provided to families. Skyview Day Club will offer two exceptional adult day programs—an Excursion Club and an on-site Club—as well as respite for families, support groups, community memory screenings, and Brain Fitness classes. Families will also benefit from JFCS’s award-winning senior services and its Center for Dementia Care, which provides personalized care plans, practical and emotional support for families, and expert in-home services. Half of Marin residents over 85 are currently experiencing some form of dementia, and by 2020, the county is expected to see a 49% increase in residents with Alzheimer’s disease—not including other related conditions. A majority of adults with memory loss are being cared for by a family member, on whom the strain of juggling caregiving with other work and personal responsibilities can also take a damaging toll. With so many individuals and their families facing the challenges of Alzheimer’s and other forms of dementia, the need for dedicated local support has never been greater. 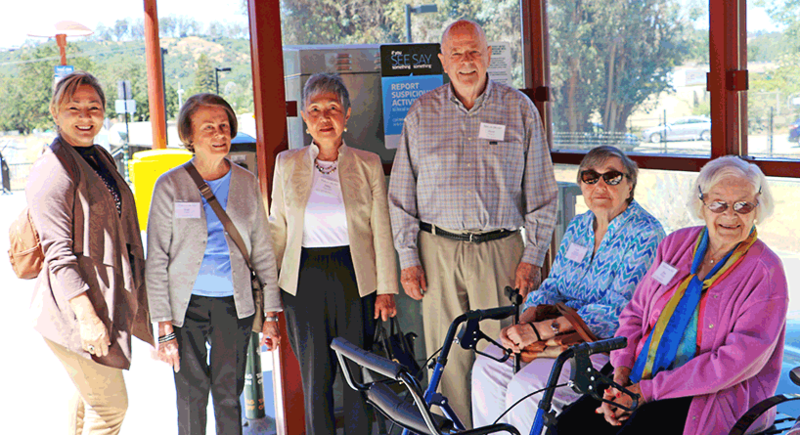 Through much needed respite for family caregivers and meaningful programming for adults with memory loss, JFCS’ Skyview Day Club will expand essential memory care resources for families in Marin. Families interested in learning more about Skyview Day Club should visit www.seniorsathome.org/skyviewdayclub or call Jen Tripathy at (415) 491-2500 ext. 140. Seniors At Home is the senior services division of Jewish Family and Children’s Services, a trusted nonprofit institution that has been caring for the Bay Area community since 1850. Through a comprehensive range of award-winning services including home care, dementia care, counseling, and fiduciary services, Seniors At Home helps older adults live safer, happier, and more independent lives. Learn more about JFCS’ Seniors At Home at www.seniorsathome.org or by calling 415-449-3777.